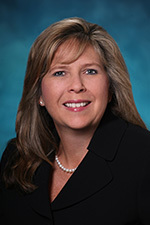 Stephanie Stewart is a Palm Beach County native who began her career in mortgage banking in 1989. Through expert service and guidance, she has helped numerous clients finance their homes. Stephanie's attention to detail sets her apart from the competition and ensures her client's loan approval goes smoothly. She prides herself on providing an excellent customer experience. Whether your need is for an FHA, VA, Conventional, Jumbo, Construction or Portfolio loan, look no further than Seacoast Bank and Stephanie Stewart for your home financing needs!